Floor area of 82 sq.m. 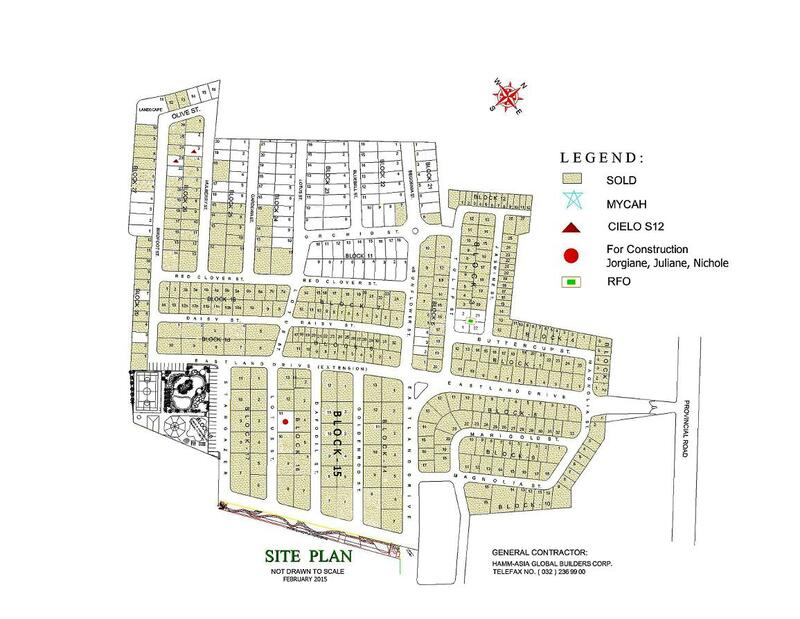 and lot area of 149 to 308 sq.m. with three bedrooms, two toilet and baths with bathtub in the master's bedroom. 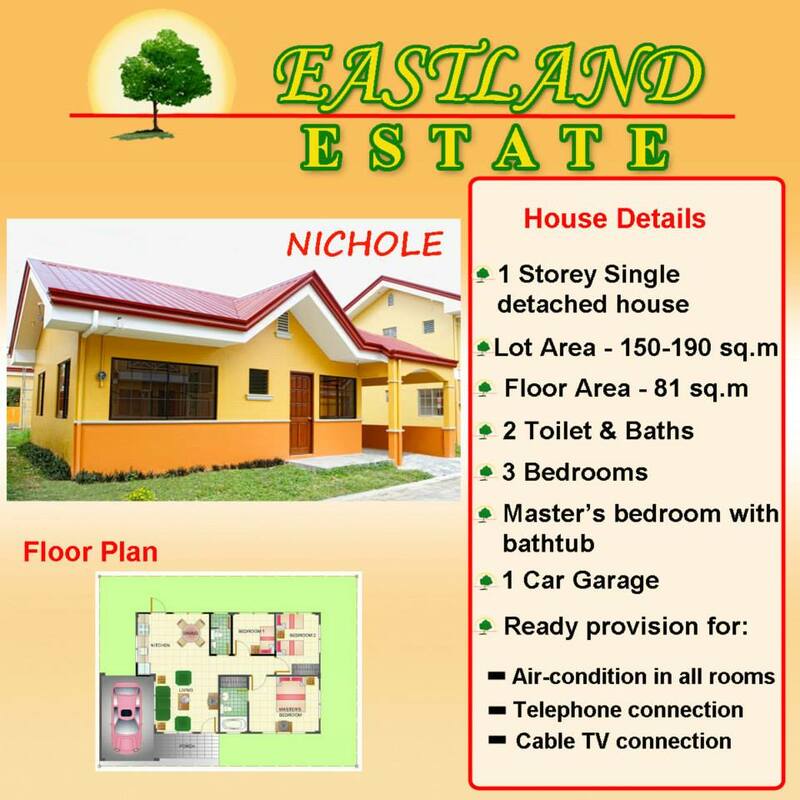 Spacious living area, dining area, kitchen area and carport. 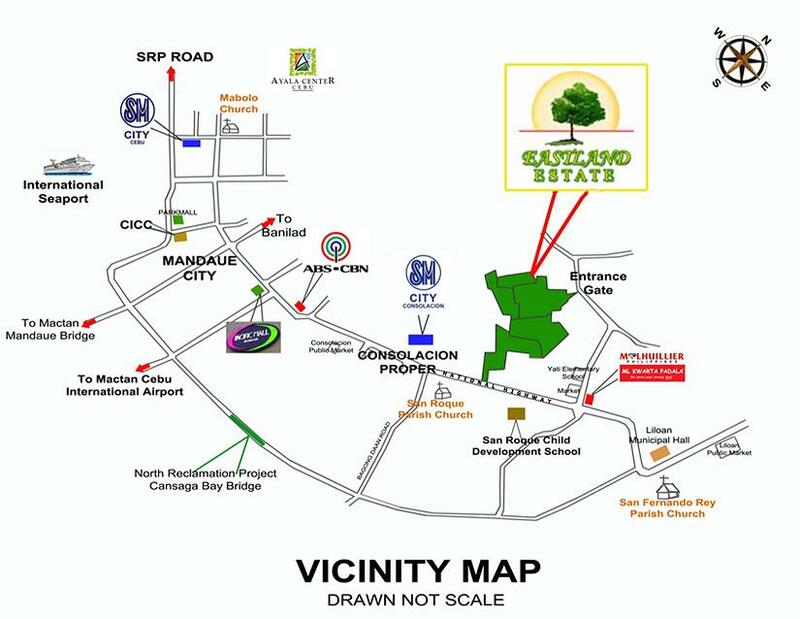 Lot Area : 156 sq.m. 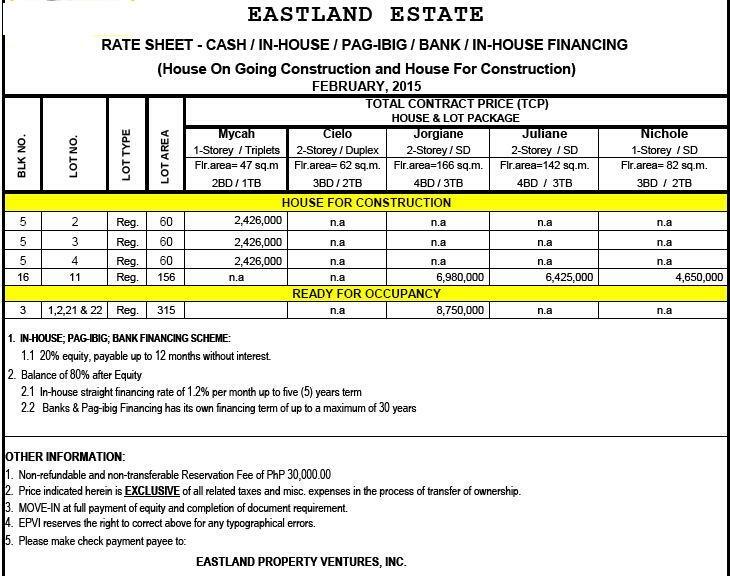 Net Downpayment P 900,000.00 – Payable 12 months at P 75,000.00/mo.